ESTRA (Seattle) - Why should our populations have to deal with this until giving up on Benefits or Settlements from Insurance Companies? Hacking Insured Devices though Bluetooth and Wi-Fi is unacceptable and abusive. This is done in order to intrude on the daily lives of injured and attempt to create chaos. More importantly, why has Congress done nothing about this for years? Congress has demonstrated their “Do Nothing” for Main Street and “Everything” for Wall Street. Therefore actions must start with us and moving them out of Congress. Women March this year has the right idea. It’s time for everyday citizens to start running for Local, State, and Federal Political Positions. This also means you, Injured, Disabled, and those fighting for Insured Civil Right Legislation to be passed, get active in Local Politics. It’s wrong when unable to walk out of home without facing harassment and intimidation. Insurer Harassers walking by with their dogs, small children, or pretend couples saying, “We are here to bully you!” Their actions should be exposed to unsuspecting Citizens. Walking dogs should not be surrounded by Insured Harassers attempting to pressure Insured into situations that would benefit them through bullying tactics of driving, walking, and drones hovering insured. It’s time to say no more. 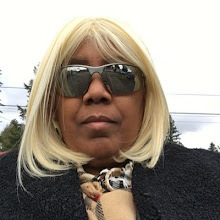 When Political Representatives continue to ignore abuses people in Car Accident face in your State, such as Senator Patty Murray, Citizens willing to take a stand and say, “No more!”, now is the time to add your voice to the Women March. Women are hurt by lower Benefits and Settlements from Insurance Companies than Men receive although having same family responsibilities. 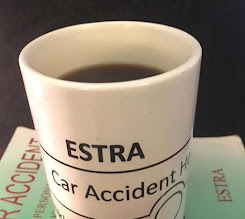 Have you notice how difficult it is to come across statistics Insurers pay out benefits to, how much they pay out by Race and Gender, and more importantly, whom they do not pay out at all by Income. I would challenge these Corporations to come clean about their methods of payment to Insured. I would also recommend the Insurance Industry reevaluate making the decision of making Injured or Disabled Disability Surveillance Targets. No individual wants to be involved in a car collision and then be followed around for years because of Insurers refusal to pay. Do the right thing, Insured pays benefits every month. Insurers pay Insured like you promised. Intimidation tactics must be exposed when encountered by Insured. In the Grocery Store with Insurer Harassers blocking desired items they know you often purchase? Select that item anyway. At Gas Station, Insured Harassers taking up most of the pumps? Squeeze in there anyway. Driving down the road and Insurer Harassers switch green light to red? Allow extra time to destination. Insurer Harassers cutting you off on the highway, practice safe driving techniques. Whatever harassment, intimidation, or bullying actions by Insurer Harassers, don’t put up with it, with joint actions we can help bring their actions to an end. The experiences of people involved in Car Accidents should not be hidden away in a closet, but out in the open for scrutiny of people to see and hear until Insured are treated with respect, dignity, paid benefits and settlements.